Fall is the season for new book launches, and there are a few on the horizon for our busy Department of Writing alumni. 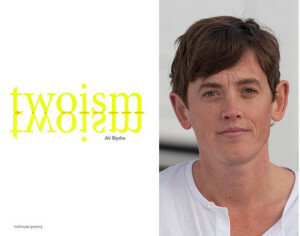 First up is Ali Blythe, who is launching their first book of poems, Twoism. Recently described as “a stunning debut” and named one of the top-10 hottest books coming out this fall by CBC books, Twoism was also praised by Quill & Quire in their fall preview for how it “questions the validity of gender binaries and bodily limits.” Blythe will be joined by at the launch reading by friends and fellow Writing alumni Garth Martens, Melanie Siebert and Anne-Marie Turza. Don’t miss Blythe’s launch at 7:30pm Tuesday, September 15, in the Bard and Banker Pub’s Sam McGee room, 1022 Government. Hosted by Russell Books. 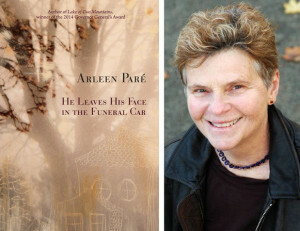 Join Paré for her launch at 7:30pm Tuesday, September 29, at Munro’s Books, 1108 Government—and be sure to congratulate her about Lake of Two Mountains being nominated for the 2015 City of Victoria Book Prize! 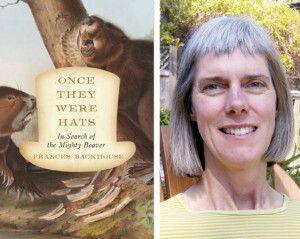 Another fall launch features the much-anticipated nonfiction book by MFA alumnus and current Writing instructor Frances Backhouse. Once They Were Hats: In Search of the Mighty Beaver examines humanity’s 15,000-year relationship with the beaver, and the beaver’s even older relationship with North American landscapes and ecosystems. Backhouse goes on a journey of discovery to find out what happened after we nearly wiped this essential animal off the map, and how we can learn to live with beavers now that they’re returning. Don’t miss the launch, 7pm Thursday, October 8, at the Copper Owl, 1900 Douglas. making its world premiere nearly simultaneously at both the Vancouver International Film Festival and Korea’s renowned Busan International Film Festival (aka “the Cannes of Asia”). VIFF comes first on October 2 with Busan following less than 12 hours later on October 3. In Busan, The Devout was selected as one of 10 films in competition for the Busan Bank Award—the festival’s top international prize—and at VIFF it will be appearing in the Canadian Images program, as well as highlighted in the BC Spotlight competition. Gaston wrote the screenplay for his Master’s thesis, and the story follows a Christian schoolteacher who has a profound crisis of faith after his terminally ill four-year old daughter claims to have had a past life. Obsessively seeking answers, he risks his marriage and his last remaining days with his child to determine is she has lived before, and if she will live again. In other alumni news, congratulations go out to both alumni Eliza Robertson and Melanie Siebert (also a former Writing sessional instructor) for each winning $5,000 in the Writers’ Trust of Canada “Five x Five” program, sponsored by the RBC Emerging Artists Project. Impressive that two of the five winners both emerged from the Department of Writing! And we’re very excited to announce that former BFA and current MFA K’ari Fisher was named to this year’s Journey Prize longlist. 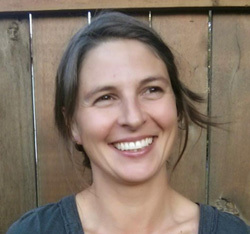 Better still, her nominated story—“Mercy Beatrice Wrestles the Noose”—originally appeared in UVic’s very own The Malahat Review. Writing MFA alumna Yasuko Thanh was a Journey Prize winner in 2009.